The U.S. Army Corps of Engineers (USACE) and the Oregon Water Resource Department are in the process of studying how to equitably distribute water reserves across the Willamette River. To provide an update on the process and infrastructure improvements designed to protect salmon, the agencies as well as Rep. Kurt Schrader and the Oregon Congressional delegation led a presentation at Wilsonville City Hall Friday, Feb. 22. "This is a huge, important issue for the future of the Willamette Basin," Schrader said. "Water is becoming a very precious resource and how we allocate that water, how we make sure our fisheries are intact and make sure the cities have water at critical times and how we make sure that agriculture can still flourish is really important." The water in question is located behind the USACE dams along the Willamette River. Currently, the two agencies estimate that the peak season demand for 2070 is about 1.6 million acre-feet for fish and wildlife, 159,000 for municipal and industrial use and 327,000 for agricultural irrigation, adding up to over 2 million acre-feet. However, there is only about 1.6 million available for reallocation and the agencies are considering providing 69 percent of the water to fish and wildlife, 20 percent to agricultural irrigation and 10 percent to municipal and industrial uses, though those figures aren't finalized. The agencies are slated to issue a report on the conclusions of the study later this year. Doug Woodcock of the Oregon Water Resources Department said the reserves are currently mostly being used for irrigation. "The reallocation is going to distribute this to other users: municipalities and fish," he said. The new plan would also stipulate that users of the river would need to systematically decrease water usage during dry years. "The concept here is when the reservoirs don't fill up, so you don't have the amount of water necessary to share with everyone, somehow that has to be distributed amongst those demands downstream. So the concept that has been put out there is it is equally felt by the allocated uses," Woodcock said. Along with water reallocation, the Oregon Department of Engineers also highlighted projects that have been completed or are in progress to make traveling through dams easier and safer for fish. This includes adding temperature control towers and structures that transport juvenile and adult fish safely through dams such as the Cougar Dam, the Detroit Dam and the Lookout Point Dam, which are between 275 feet and 630 feet tall. The changes are based on Willamette River Biological Opinions issued by the National Fish and Wildlife Service and the National Oceanic and Atmospheric Administration Fisheries in 2008 about the impacts of the dams on fish flow and endangered species like chinook and steelhead salmon. 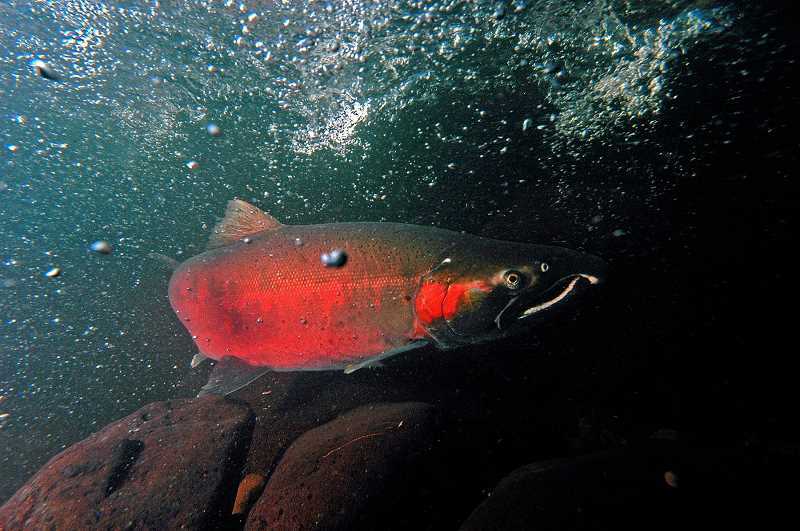 "At that time the conclusion was that improved fish passage would be necessary for the survival and continued existence of the species," said Kevin Bryce, the U.S. Army Corps of Engineers Portland District Senior Civilian. "When you put a dam in the middle it does interrupt that lifecycle. And the question is, how do we account for that?" Finally, Schrader shared his hope that a recently passed bill to protect salmon and steelheads from sea lion predation along the Columbia River would enlighten other members of Congress about the issues facing endangered species in the Pacific Northwest. "So I think we're in a good position to make the case that ... 'Remember how we talked about how salmon and steelhead are in big trouble in the Pacific Northwest? Thank you for your help with the sea lions but it's going to cost money obviously to make sure these runs are preserved,'" Schrader said. "I think we're in a really good position to make our case that this is just as important as the Great Lakes issue for the folks in the Midwest and Chesapeake Bay back East."